In the United States, less than 5% of pregnancies are by Donor Egg. This is based on the CDC [Center of Disease Control] stats. If you count all donor egg cycles vs. all deliveries over 40 years old, there is less than a 5% chance any birth is via donor egg. The HUGE majority of births over 40 years old are NOT Donor Egg, and the same is probably true in the UK. The 1-5% success rate is for what doctors actually follow. IVF [in vitro fertilization] and IUI [Intrauterine insemination] cycles ONLY for a certain age and their FSH [Follicle stimulating hormone]. They do not report or follow any natural pregnancies over 40 years old. They don't even think about over 40 births for all those women who weren't trying, or never sought help. They certainly don't count women who lie about their age and pay cash. Try Traditional Chinese Medicine with an acupuncturist. They should be the kind who can prescribe herbs for you. I just hooked up with a TCM practitioner, and I know other women on other threads on this site have tried it and it worked for them. 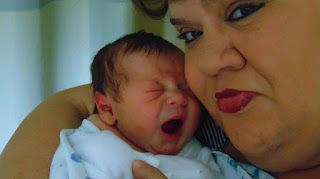 The lady who is helping me got pregnant at 45 years old, with her first baby. She is very hopeful for women my age (42 years old - soon to be 43 in June) to get pregnant. What TCM teaches is, it all has to do with ENERGY within your body and diet - and getting your energy blocks going again. I found out from her, my liver is totally blocked. My mother fell pregnant with my half brother when she was 45 years old. She had no fertility treatment - the only treatment I can say she had is her boyfriend was only 30 years old! My mother now being 68 years old, and her last son is now 23 years old and working as an accountant - about to be married. I was in the hospital for a D+C after a miscarriage. There was a hospital administrator who had had seven or more miscarriages. She then went on to have two healthy babies. She was over 40 years old too. I think it is really a matter of getting that golden egg.